Congratulations on another season well run! After a brief hiatus to rest, rejuvenate and recharge (2 to 4 weeks is ideal), we hope you’ve got an idea of what you want to accomplish this coming season—and that you’d like our help in making it happen too! Click here for a refresher on an “oldie but goodie” article we penned on off –season, pre-season and establishing the timeline to your “next big running thing”. As an aspiring competitive distance runner 20 years ago, I was advised to start water running as a means of preserving my running fitness during a 6-8 week break from running due to a stress fracture of the foot. Back then, water running was still in its infancy, and I didn’t have access to the fancy Wet Vests and Aquajogger Belts that arrived on the scene shortly after. So you can imagine how silly I felt, when, as a 4th year university student at Western, I started strapping floaty pigs and ducks around my waist to provide buoyancy as I got started with water running. To the lifeguards on duty, I must have looked like the world's worst dogpaddler, in a state of perpetual drowning. From those very humble beginnings my water running career was launched. Little did I know that over the next 4 years—due to frequent and protracted injury woes—I would ultimately put in over 200 hours of water running, most of which was done all by my lonesome in the sepulchural confines of a low-rent downtown Toronto apartment pool (shudder!). By the late 90s’ I thankfully discovered two aerobic x-training activities, which allowed me to bid good riddance to the water running I’d grown to dread—inline speed skating (summer months), and aerobic fitness machines like stationary bikes and elliptical machines (winter months). I swore I would never go back to water running—and for over a decade, I was right. Fast forward to this past fall, where another curious late season injury derailed a promising comeback, This time though, for the first time in over 10 years, my injury was foot related (suspected stress fracture), and thus the sports medicine police prohibited any activity with impact trauma or pressure to the foot as options for cross training—for at least 4-6 weeks (suspected stress fracture). This brought me back to good ‘ol water running as the only way to hold on to the modest but hard-won fitness gains I’d made over my short 8 week return to action. So after almost a dozen years hiatus, I pulled out the old Speedo swimsuit from the back of the dresser, took a deep breath, and off I went to the local community pool. Long story short: 6-7 months have passed, and over that period I’ve managed to churn out nearly 70 hours of cumulative pool running. During 4 straight months of that time I wasn’t able to run a step, so I pool ran up to 3-4 times per week (though after 4-5 weeks, I was allowed to return to lower impact forms of aerobic x-training, in addition to pool running, and reduced my water running to 2-3 times/wk). Upon my return to running, I was very pleased and impressed with my aerobic fitness, strength and speed. So much so that I decided to test my early season fitness with a couple of races and was pleasantly surprised to see that I had indeed retained basically all the conditioning I had before the giant layoff, resulting in some very encouraging race results considering that I took more than half the running season completely off! Better still, though using a different mindset, and altering my approach to the activity, I was actually able to enjoy the water running experience enough to not dread the next workout and run screaming for the hills. Crazier still, is that I’m already planning to KEEP ON water running this summer/fall season (just 1-2 times/week) as a regular aerobic x-training activity, even when I’m running completely injury free. With every indication that this is going to be a doozey of hot summer, and with backyard pools opening, and cottage lakes beckoning, we would strongly encourage you to take up water running as a convenient, easy and super-effective adjunct to any pavement pounding or other aerobic training activities you’ve got planned this season. 1) Find Company – If you can, arrange to pool run with others. If you can’t (as I wasn’t), then enjoy the company and conversation of your day to day fellow pool mates. Over the past few months, my pool running posse has been made of several septuagenarian and octogenarian water aerobic and social swim enthusiasts. Since you essentially “float in place” (or drift slowly) while pool running, it’s ideally suited to some upbeat conversations. Much more motivating, and time passes much faster this way! 2) Focus on Form – Strive to emulate your “on ground” running form: in posture (upright or only slight lean forward at the hips), and in cadence (quick and fast). Don’t exaggerate your arm swing and leg range of movement—try to keep your stride rate up around 50-60 strides per leg per min, which is not easy given the resistance of the water, trust me). Constantly monitor your form to ensure that your knees remain close together, that your elbows are always cinched in close to your sides, and that your hands remain either loose or lightly clasped into a ball (so that they don’t form “paddles”). Every 10 minutes or so do a 30-60 second cadence count check, to ensure your stride rate hasn’t slipped below 50 per foot per minute). 3) Variety - Mix it Up! Anyone who’s done water running more than once can tell you that it’s not the most “intrinsically rewarding” activity, so ensure than every water run workout on any given week has a different focus and character than any and all other pool runs. If water running only 1-2 times/wk: For example, if running healthily, and using water running for supplemental aerobic x-training, make sure your water running is easy to moderate overall intensity (i.e. 65-75% max HR or perceived effort). You can use either constant steady effort or a fartlek approach (i.e. mixing 1 min hard, with 2 min easy) for added variety. If water running 3-4 times/week: For example, if injured or on the cusp of injury, and using water running as a replacement of your actual running workouts and/or for supplemental aerobic fitness, then just as you would when actually running, make sure each pool run of the week is noticeably different in purpose. You can replicate any type of run workout in the water: tempo, steady state threshold, LSD, fartlek, intervals, you name it. This way, there’s at least a week between any water runs of same/similar character, which greatly enhances the freshness and purposefulness of them all. 4) Flexibility – Create multiple options for your pool running at different locations and times. For this winter, I checked/posted both the lane swim and fun/family swim schedules for 3 different nearby community pools, so that I had morning, afternoon and evening options to squeeze my water runs in, no matter what my schedule for the day ended up as. In the summer months ahead, some of you will have the added options of backyard pools (yours, neighbours) and cottage lakes. So no excuses! 5) Intensity – Make It Count! In general, with water running, the harder you work the better you’ll feel (during, but especially after...lol!). But it’s awfully hard to push yourself with any sustained aerobic workout (especially for us number-obsessed runners), much less water running, without SOME form of objective measure to show/prove how hard you worked, isn’t it? (i.e. distance traveled, pace attained). Since you can’t use distance (when done correctly you simply drift ever so slightly forward slowly while pool running, truly at a snail’s pace), the best gauge is heart rate—so wear a HRM (heart rate monitor). * Polar, and most other HRM brands are waterproof, but some GPS wrist units are NOT, so please check the specs of your unit before you jump in the pool! * For added intensity – try going beltless (not swim trunk-less...though that is sure to get the heart rates up of nearby swimmers, if not your own!). Certainly not right away, or even in your first few weeks of water running, but at some time in the first few months, you may want to try experimenting with doing SOME water running “sans floatation belt”. Please note: it is MUCH harder to water run correctly while beltless (i.e. still maintaining the proper form cues given above) while keeping your head above water. So we suggest attempting this method first only for short bouts of 1-4 minutes of hard water running (with at least 1-2 minute rest intervals in between the run bouts). Then as you find you’re able to maintain your form and breathing, try moving up to 10 min intervals of water running (with same 1-2 minute rest intervals), and then to continuous steady state, “OMP feel” water running. Kevin Sm ith is a coach with Marathon Dynamics and a rejuvenated water running enthusiast, as well as (hyper) active elliptical trainer, life cyclist, inline speedskater, power walker, skinny gym monkey, and sometimes runner. STRAIGHTEN UP & STRIDE RIGHT! 1. Bring up your arms: Your arms give you momentum that helps to move the rest of the body forward. Elbows should be flexed more than 90 degrees, so that your hands end up just below the chest. This results in a shorter leaver and thus requires less energy expenditure to move. Another key to consider with the arms is to drive the elbows backwards. Driving them backwards as opposed to forwards results in the opposite reaction to your body… forward motion! 2. Lift your feet: When you are watching those “graceful” runners, take note of how much their knees bend. They look like their heels are coming close to hitting their backside with every stride. Adequate knee flexion is key to decreased energy expenditure for a number of reasons. A knee that is flexed more takes less energy to move forward for footstrike. It also allows you to use more momentum and less muscle force, taking significant stress away from the muscles in the hips, glutes and low back. Stress in the hips and glutes is a major factor in many of the common overuse injuries experienced by runners. 3. Land on your Midfoot: When we walk, we go through a repetitive cycle involving heel strike-toe off-heel strike-toe off. With the running stride, we want to change this to landing on the midfoot rather than the heel. A midfoot landing results in less impact forces going through the muscles, tendons and joints higher up in the kinetic chain. It also changes the ‘braking force’ that is created with a heel strike in front of your body into a force that encourages forward motion as you strike underneath your body while the leg is already on the way backward. Therefore, by switching from a heelstrike to a midfoot strike you will increase your efficiency while also decreasing your risk of injury associated with impact forces. THIS JUST IN...RUNNERS HAVE BIG HEARTS! We’ve known for a long time about the stronger cardiac output and larger size of the average runner’s heart compared with that of the average non-runner. We’re not talking about that. We’ve seen how runners have by the tens of thousands rallied around charity causes, raising hundreds of millions of dollars of much-needed funding. We’re not talking about that either. What we’re getting at here is the remarkable selflessness and generosity in supporting fellow runners demonstrated by our Marathon Dynamics runners this spring racing campaign. At the Mississauga Marathon a couple weeks ago, we were overwhelmed by the almost two dozen of our runners who volunteered hours of their own time (many of whom were actually racing that weekend themselves!) and provided their energy and enthusiasm to help us distribute almost 1500 free customized & topographically-adjusted pace bands. 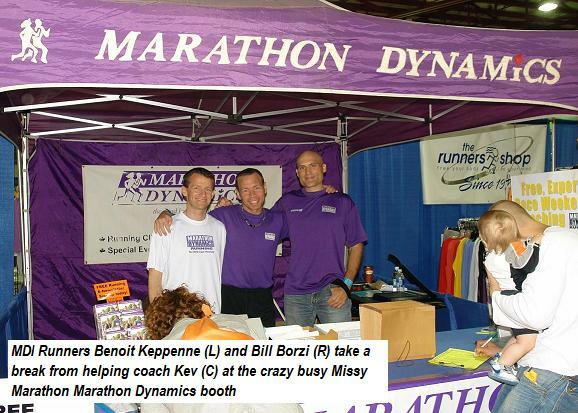 We’ve received countless emails of thanks citing how much the bands helped so many runners that weekend. Furthermore, while doing my “increasingly annual” race day coach & cheerleader routine on Mississauga race morning, as I zoomed back & forth over the last 5km of the marathon course on my inline skates, greeting, cheering and supporting runners over the last few kilometres of the race, I came upon a couple of great examples of “runners helping runners” that really warmed my heart. There was Harvey Foot, who after having an absolutely scintillating running season himself, setting no fewer than 4 personal bests, at distances ranging from 10K to marathon (including a huge marathon PB in his Boston debut), decided to head out that morning to Mississauga from Richmond Hill to meet up with fellow Marathon Dynamics training mate Peter Speight, and support him on the tough final 10-12km of the marathon, with quiet, motivating encouragement and metronomic pacing rhythm. End result? Peter set a sizeable personal best, undoubtedly in large part to Harvey's late race assistance. 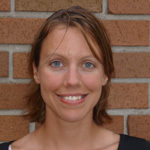 A little later on, I found MDI stalwart runner Karin Lindner doing much the same thing as Harvey, for her long time running buddy Marc Rapuch, but with a markedly different approach. When I came upon them at around the 39-40km point, Karin was running a good 5-10 metres in front of Marc, trying to get him to chase her, and keep the dream of a 4hr, or even sub 4:10 marathon, alive. The funniest line of the weekend for me was when she turned around to him as they approached the 40km point and unexpectedly shouted “Marc! Get your $hit together!” Despite the formidable muscle cramping and overall fatigue Marc was experiencing at the time, I detected a noticeable pick up in his pace! 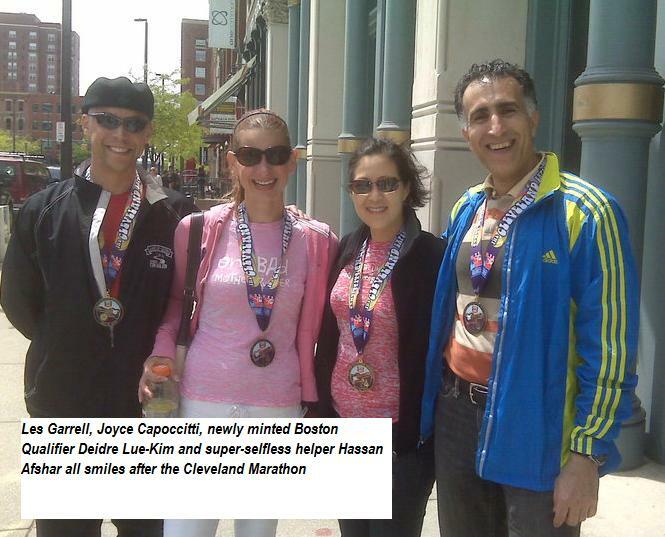 Finally, on that same weekend, MDI runner Hassan Afshar, just four weeks after his own triumphant debut at the Boston Marathon, took it upon himself to drive all the way to the Cleveland Marathon, to help race day coach and support fellow MDI runners Deidre Lue-Kim, Joyce Capoccitti and Les Garrell in their quests to run all time personal bests. 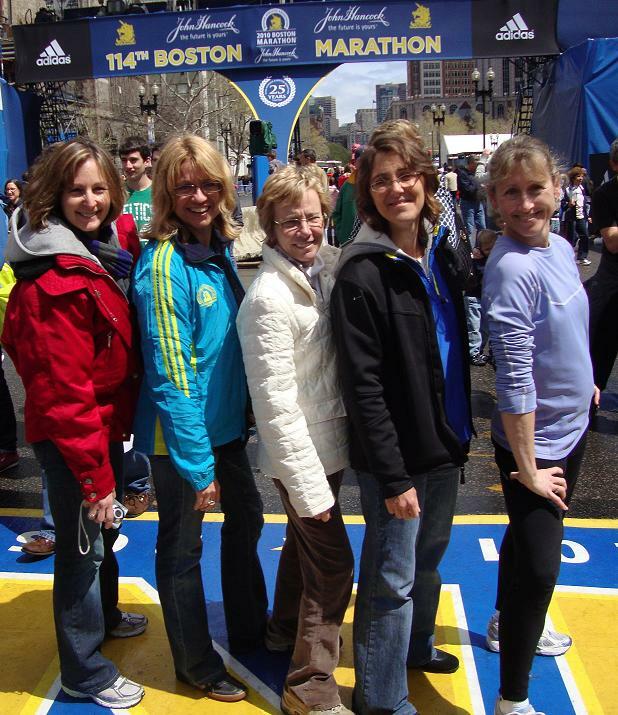 Though Les had some stomach troubles that ultimately compromised his best effort, Joyce came ever so close to requalifying for Boston, and Deidre was having such a great run that late in the race she still had a shot at achieving her long time dream—qualifying for Boston. With Hassan’s help over those closing miles, though it got awfully close...she did it! As I dropped in an exhausted heap on the couch once finally home, I couldn’t help but reflect on how gratifying it was to see our runners pulling together so strongly and doing so much to support each other. The quickest, easiest and most impactful way to raise the enjoyment and enthusiasm level in your own running, is most certainly to get intimately involved in the running lives of other runners around you. It deepens and sharpens the emotional feedback cycle that we depend upon to pursue our own hopes, dreams and aspirations—whether we realize it or not. So go forth and run for yourself, but when the opportunity presents itself (even if you have to go looking for it)...run for others too! Kevin Sm ith is a coach with Marathon Dynamics and an rejuvenated water running enthusiast, as well as (hyper) active elliptical trainer, life cyclist, inline speedskater, power walker, skinny gym monkey, sometime runner, and full-time athletic supporter! The Top 5 Tips to Keep Your Cool Till Labour Day! 2 - Seek shade! I’m blessed to have a modest size forest park lot across thee street from my house, and have devised a 3 mile/5K double loop route that keeps meon the dirt trails and woodchip paths under the tree canopy for 80% of the course. On hot days when I run there, it feels like a 10 deg C drop as soon as I enter the woods. Note: at temps of 40C or over, we recommend... jumping in the pool instead of running! 5 – Allow time for adaptation: if the likelihood is that you’ll have to do some long, strong hot runs at some point later in the summer, don’t avoid early season hot weather run opportunities. Seek them out and use them to build up your heat tolerance for the longer ones to come. Try and build up your “hot weather running runs” (say 25C or higher) much as you would your regular long run progressions, by never increasing your longest hot weather run of the season by more than 1-2 miles (2 or 3km) at a time. 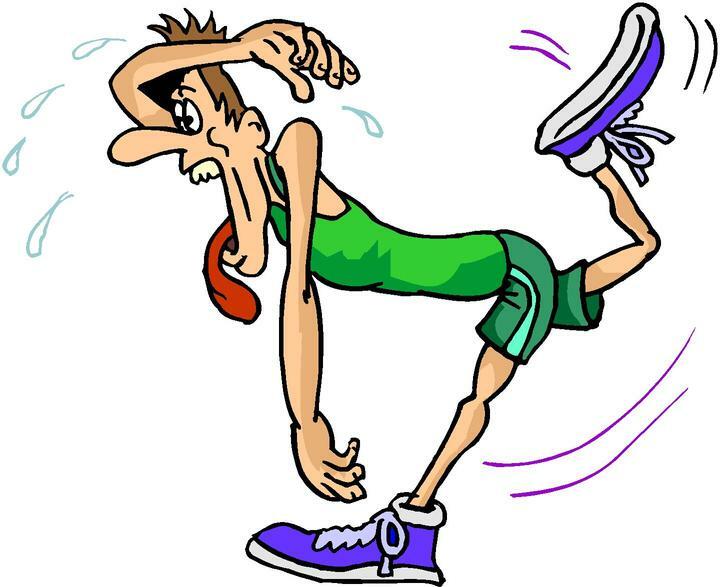 That way you’ll gradually acclimatize to the demands of running in the hot stuff, and not suffer “heat shock” by avoiding hot weather running until you get caught/stuck running a 25-30km long run in 30 degree humidex. If you’d like to “tawk shawp” about your fall 2010 running goals, the best time to reach Coach Kev for a free consultation is between June 1-11 (10am-4pm). After that, things get a little “time pressured”…so call sooner than later! We are so grateful for the unflagging and ongoing support of Marathon Dynamics’ primary “Runner Health & Wellness” sponsors: Absolute Endurance (Toronto) and Physical Edge (Oakville and Mississauga). This past season, our runners and coaches have benefitted greatly from your healing powers, your “supporting cast" athletic know-how, and your ever-positive, can-do attitude. THANK YOU! Also a big thanks and welcome to our newest sponsor, WINsurance Sport Travel Protection. This is SUCH a phenomenal product, we had to make sure word got out to our runners: travel insurance totally tailored to runners doing destination races—complete with injury, sickness and circumstance protection on race entry fees, hotel and flight booking, etc. How awesome is that? • You get sick or injured before your big destination race? • You or your family and friends are unable to travel? • You change your mind and no longer want to participate in the race? Make sure you’re covered. Visit www.winsurance.ca to purchase WINsurance Sport Travel Protection. 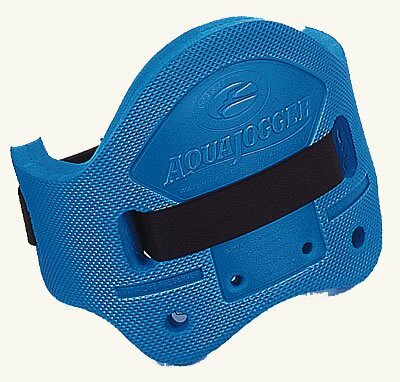 Protection for runners designed by runners. After all, it’s not just a race… its life! Kevin, Jackie, Jennifer, Bennett, Robin, Todd, Steve, Cara, Susan, Dera, Michelle, John and Brant! Marathon Dynamics Newz - Summer/Fall Season Starts Now!